Early Classic Series 2009 Orange Wage! Item # 1001-1 on tag. Measures approx. 13" tall from top to toe. Style:Classic Ugly Misspeller Wage. UGLYDOLL is a line of plush toys that began as a long distance love letter between the creators David Horvath and Sun-Min Kim. 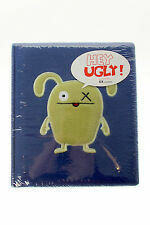 UGLYDOLL first launched in January 2001 and is distinguished by its definition of the word "ugly". 2013 DC Comics & Funko : Ugly Doll "Babo" As Superman Vinyl Figure-New!! 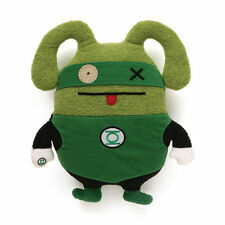 This is a very special UGLYVERSE EDITION UGLYDOLL. These limited versions of your favourite UGLYS are produced for one year. After that, they're all gone. But no worries, next year's UGLYVERSE EDITION isn't far behind. Little Uglys 2007 Rust Red Minimum Wage! Item # 5101-1 on tag. Measures approx. 7" tall from top to toe. Style:Little Ugly Misspeller Wage. 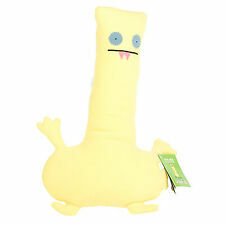 Gus Fink Studios Ugly Plush Doll . Blurb . Good used condition. Larger ones measure apx 12-13" Smaller ones measure 7-8" Please study all pictures before purchase. They are part of the description. Thank you. Comes from a smoke-free pet-free home. Message me with any questions you may have. Character Family : Ugly Dolls. Character : Ugly Dog. Ugly Dolls. Character Family. It is fast,easy and safe. However, due to customization/weather may be delayed. Does not apply. Office Supplies. Character Family : Ugly Dolls. Ugly Dolls. It is fast,easy and safe. However, due to customization/weather may be delayed. Office Supplies. LEGO、Building Blocks. Tomica、Cars. Character : Moxy. 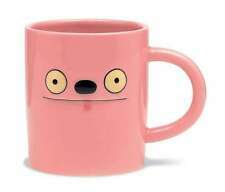 Character Family : Ugly Dolls. Ugly Dolls. Character Family. It is fast,easy and safe. However, due to customization/weather may be delayed. Does not apply. Office Supplies. Preowned, but still in good condition. This is anUGLY DOLL from GUND in 2013. It'sBABO as SUPERMAN. He's wearing his SUPERMAN cape, belt and red pants. He's about 10 1/2 tall. Ugly Dolls Movie Plush Keychains Brand New . Condition is new with tags. Kept in a nonsmoking environment. See the actual photos. You will receive the 3 plushies you see here. Shipping via USPS with tracking number. Hard to find model from 2004. I will do my best to make note of any defects or other aspects of the item–. Excellent condition. Seems many are not finding the choices. range in size from about 12" to 15" or so. Lot of 8 Uglydolls. Character : Wage. Character Family : Ugly Dolls. Ugly Dolls. Character Family. It is fast,easy and safe. However, due to customization/weather may be delayed. Does not apply. Office Supplies. Gund Ugly Doll GROODY (GREEN) KEYCHAIN. ALL UGLY DOLL KEYCHAINS ARE 4-4.5" IN SIZE. Are accepted only in the original condition. Defective Electronics should be handled through warranty from the manufacturer, Teklifestyle can help assist if this situation occurs. 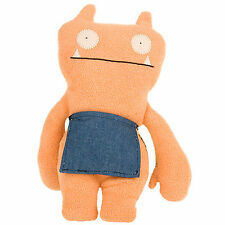 Ugly Doll Plush; "Fea Bea"; Yellow with Felt Details. 17.5" x 14". I will do my best to accommodate everyone.